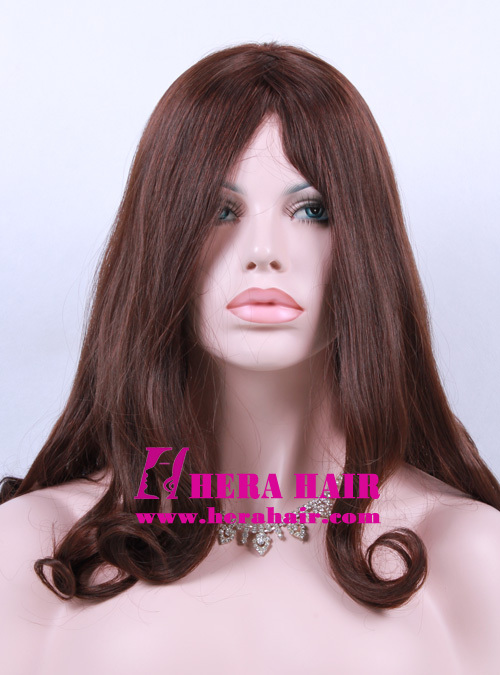 This wavy wigs is Hera 16 inches #6 120% hair density bottom wavy European virgin hair sheitels with 4"*4" silk top. 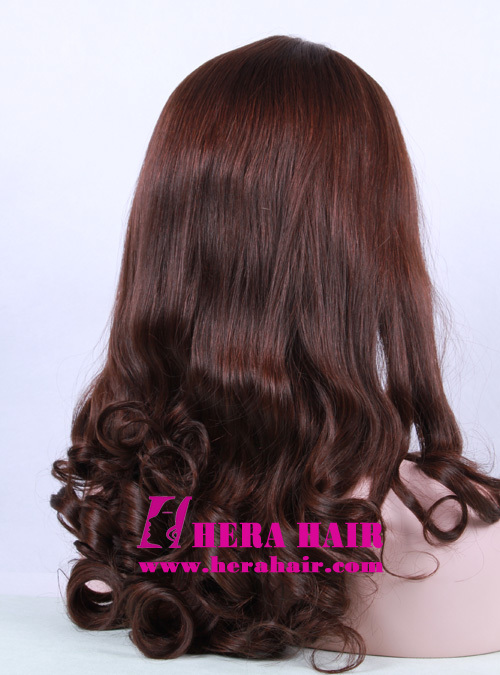 Hera pride to say we are the best European hair sheitels manufactuer in the world. Yes, the best of the world. Our sheitels workmanship is first-class of world and we only pick up very good quality hair materials to make sheitels to make sure every Hera's sheitel is perfect. 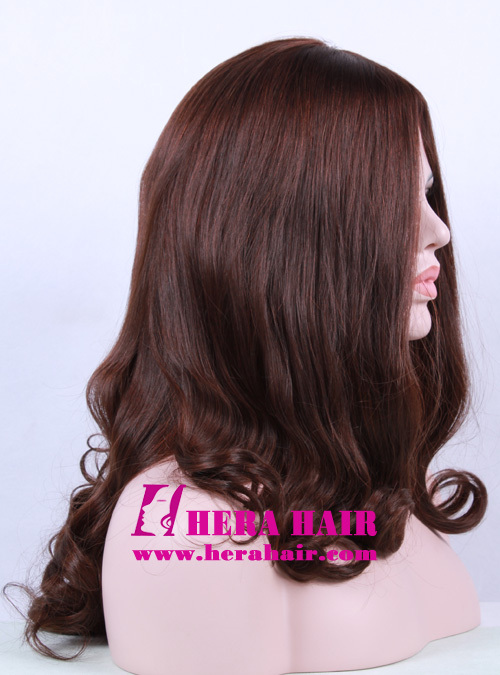 We put much attention on the sheitels updates and production, such as all Hera's sheitels not only used silk top and we also used Chinese silk for inner of wig cap, which could make sure the user feel comfortable (not itchy). Hera not only supply regular sheitels, also supply band fall sheitels and we have developed better US-style Jewish women wigs. Hera also can supply highlight color sheitels according to your special requirement. 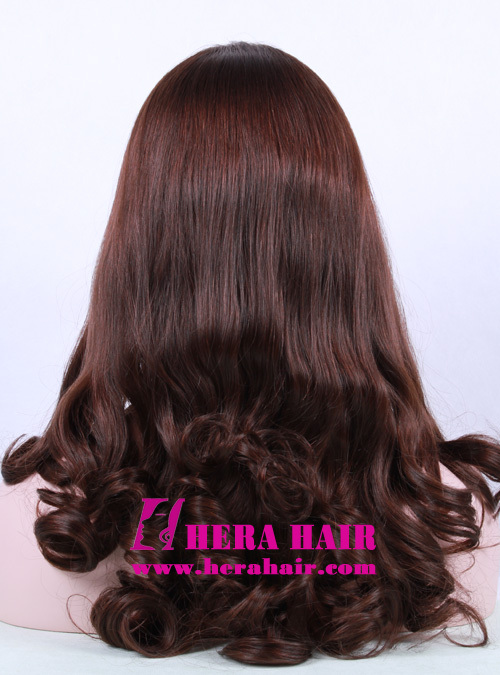 Hera's sheitels mainly are medium cap size because you can change the cap size through the wig's back strap but we also can do extra small or extra large cap size according to your requirement. And we can do some change base on our regular sheitels workmanship according to your special market requirement. Just send your business situation and your inquiry details then we can send our sheitels wholesale pricelist to you. If you are sheitels personal buyer, you are welcome to send inquiry details to us then we can offer you directly. Custom sheitels could meet your special requirement very well.